Elevated Arbor Care have the latest techniques for tree removal and continually upgrade our equipment to ensure we have the latest technology available to the tree lopping industry. We pride ourselves on our safe work practices and superior Customer Service. We have many existing clients in the Hawkesbury region. 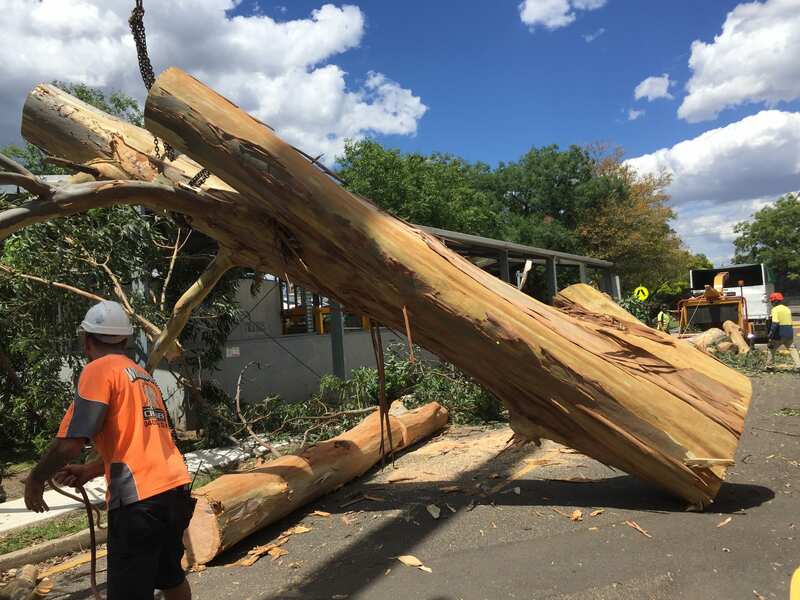 Tree felling and lopping is not an easy task, but our staffs are highly trained and can quickly and safely remove any large trees from your property. We are experienced and well respected in the Arbor Industry. Based in the Western region of Sydney, we have been servicing the Hawkesbury and Windsor / Richmond areas for many years. 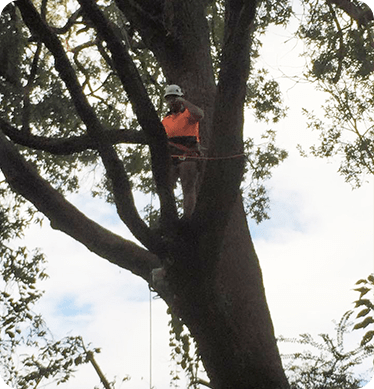 We specialise in full tree and garden maintenance and have over 15 years industry experience in tree lopping, stump grinding, crown lifting, tree removal & tree cutting services in Sydney. 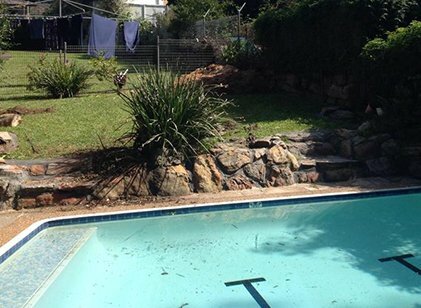 If you need a clean up done on your property in the hawkesbury give our team a call for a free quote. The Hawkesbury area is one of the most picturesque locations in the greater Windsor / Richmond areas. When you have such a beautiful and natural landscape a tree growing in the incorrect area can ruin a great outlook and may need to be trimmed, or removed. EAC can trim and / remove any tree of any size. We can also remove it completely from site leaving you with nothing but an open space. Trees that are close to houses can cause many potential problems to pies, foundations and even create an unsafe area for the family with potential trip hazards or falling branches. When you need to remove a tree, you need the professionals as they can be unpredictable if you don’t have the expertise. Our Arborists can give you the right advice the first time and save you costly repair bills from trying to do it yourself. 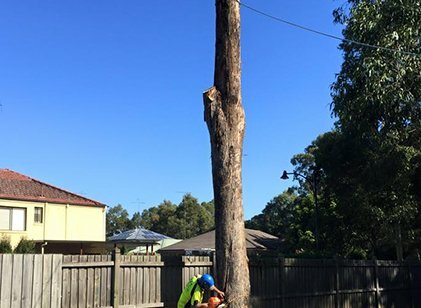 We also offer all other tree services in the Hawkesbury, whether you need a clean up or trimming of a large tree, or stump grinding of any leftover stumps. 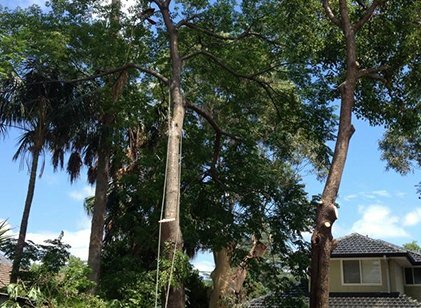 Call us on 1300 007 674 for any tree removal in Hawkesbury for a free quote. Stump Grinding is the final step in tree removal. Once we have the bulk of the tree removed, stump grinding may be required to clean up the site and make sure it is ready for use. Stump Grinding services in the Hawkesbury and can help you remove the stump and leave you with a good source of mulch instead. Our teams of expert Arborists have the knowledge and specialised equipment to make light work of your old tree stumps. 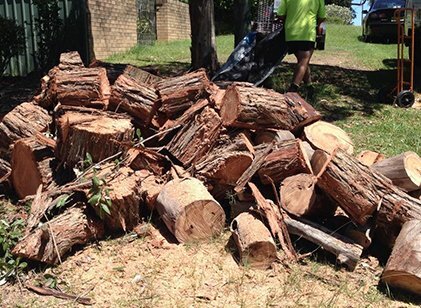 Our tree stump grinding services are amongst the most qualified and reliable services in the Hawkesbury. We can stump grind in any area, with any access levels, even tight access or sloped land. 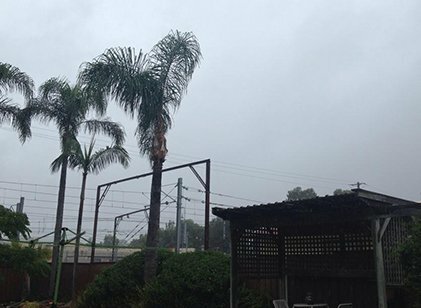 Do You Need Our Tree Services In Hawkesbury? Call our professional team today and we will come to you and give you an obligation free quote and recommend the tree services you need to clean up your block and make the most of the land you call home. Whether it be tree cutting, tree clearing, tree felling or stump grinding, we have the knowledge, equipment and manpower to get the job done. Call Elevated Arbor Care on 1300 007 674 or Enquire Online today for a FREE quote.